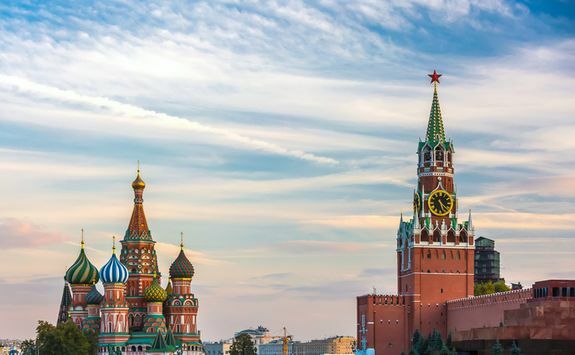 Cosmopolitan, lively Moscow has been Russia's capital for a century. 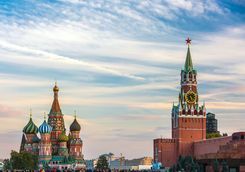 Iconic St Basil's Cathedral and the Kremlin face off on opposite sides of Red Square, but to truly get the measure of this captivating city, spread your wings and gaze down from the Sparrow Hills viewpoint. 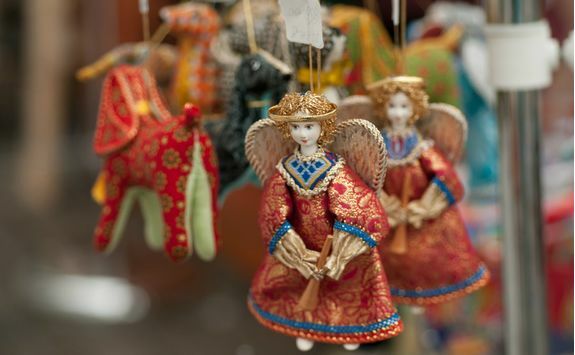 This morning, depart from London on a direct flight Moscow, which takes just under four hours. On landing at Domodedovo Airport this afternoon, a driver will be waiting for your private transfer to a centrally located hotel. 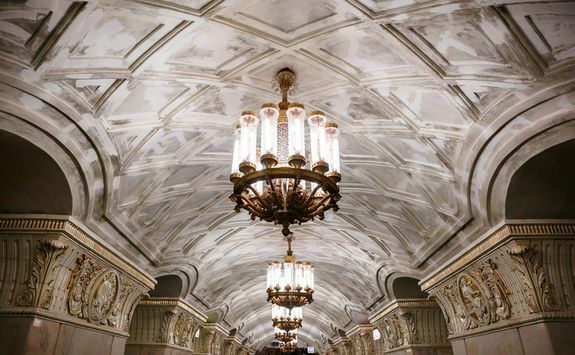 Check in, unpack and head out for dinner in one of Moscow's best restaurants, recommended in our detailed destination Dossier. We can pre-book a table. 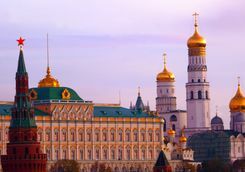 Moscow's been the capital of Russia for a century. It's a buzzing, forward-thinking city with attitude in spades. 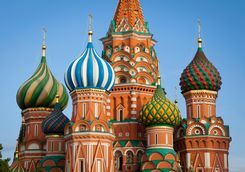 With your English-speaking guide, visit St Basil's Cathedral, with its distinctive coloured domes, which has occupied a corner of Red Square since its construction in the 16th century. 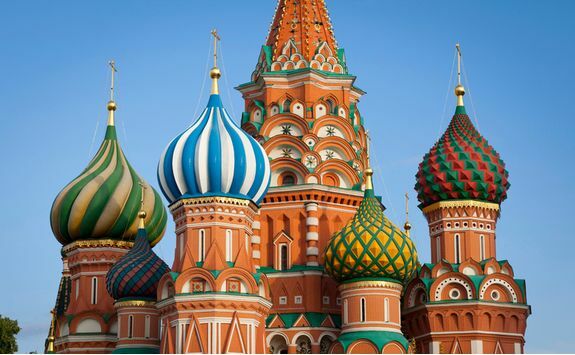 It's Moscow's most recognisable landmark and thus the perfect place to begin your tour. 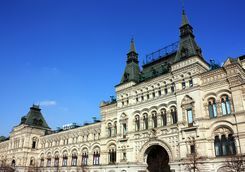 Nearby, you'll find two other quintessentially Muscovite sights: the famous GUM department store and Lenin's mausoleum, where the Bolshevik leader's body lies embalmed. 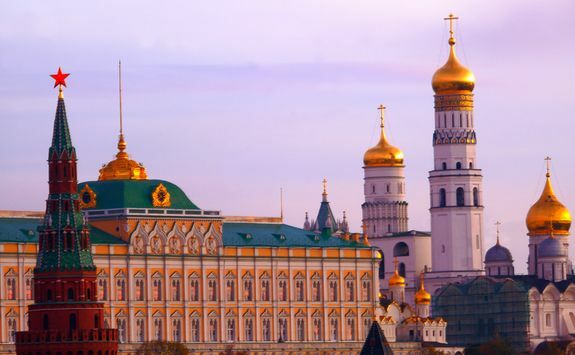 Then head inside the Kremlin, home to Putin's presidential quarters. 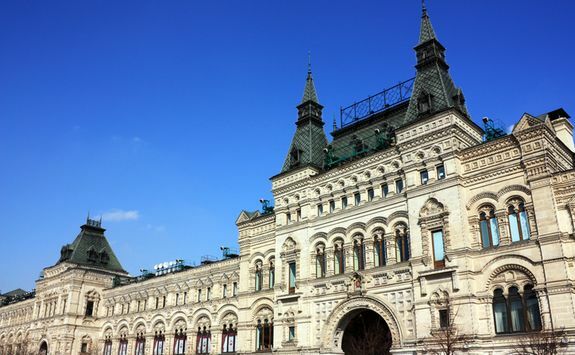 Admire its striking courtyard cathedrals and pay a visit to the Armoury Museum, crammed full of Tsarist treasures. 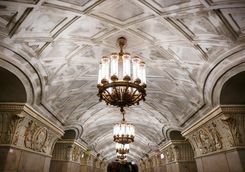 From there, your guide will take you to New Maiden Convent. Round off the day with a ride up to the lookout at Sparrow Hills, one of the best vantage points to view the Moscow skyline. 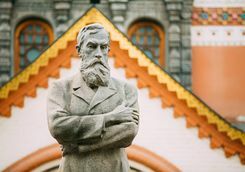 Today, your English-speaking guide has more treats in store, starting with the Tretyakov Gallery. 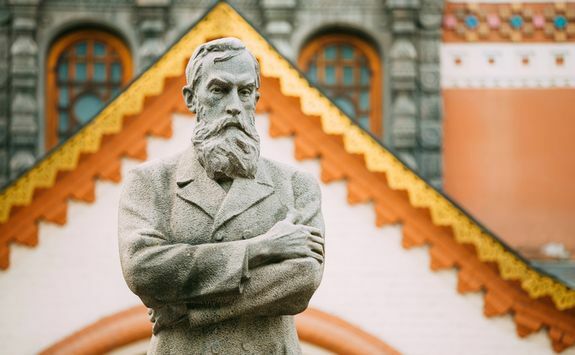 Founded by Pavel Tretyakov, a wealthy merchant and enthusiastic art aficionado, it's now Moscow's premier fine art collection. 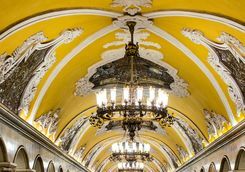 Art takes a different form as you descend into the halls of Moscow's famous metro underground system. 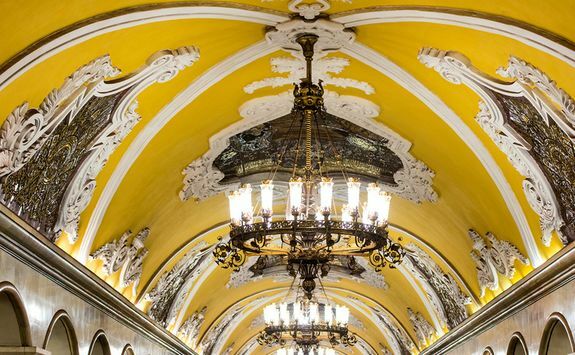 While transit systems in some cities are stark and functional, the Moscow metro wows visitors with its stations' sparkling chandeliers, intricate mosaics, pretty stained-glass panels and bronze sculptures. 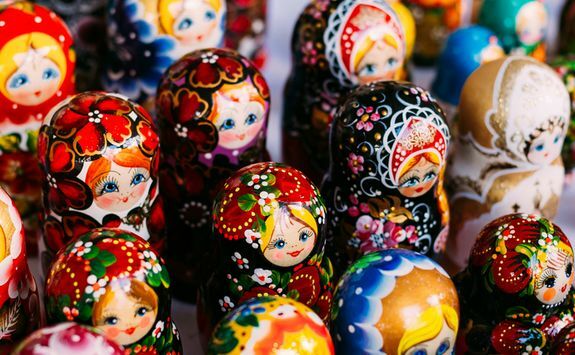 Finish up with a stroll along the oldest street in the city, Arbat Street, where you'll find a plethora of restaurants, cafes and souvenir shops. 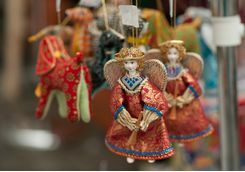 This afternoon, you'll be heading home, but there's just enough time to squeeze in some last-minute shopping in this energetic city. 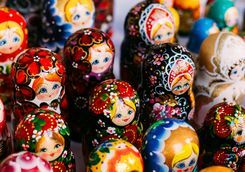 Can you resist bringing back a souvenir Russian doll? Enjoy a last long lunch before your transfer back to the airport for your late afternoon four-hour flight back to London, landing in the evening.